With Tony Stark (Robert Downey, Jr.) behind the creation of Peter Parker’s (Tom Holland) super-suit in the Marvel Cinematic Universe, we aren’t too surprised that the old red-and-blues are packing more tech than just the telephoto goggles that debuted in Captain America: Civil War and the armpit webs we first saw in the Spider-Man: Homecoming trailer. 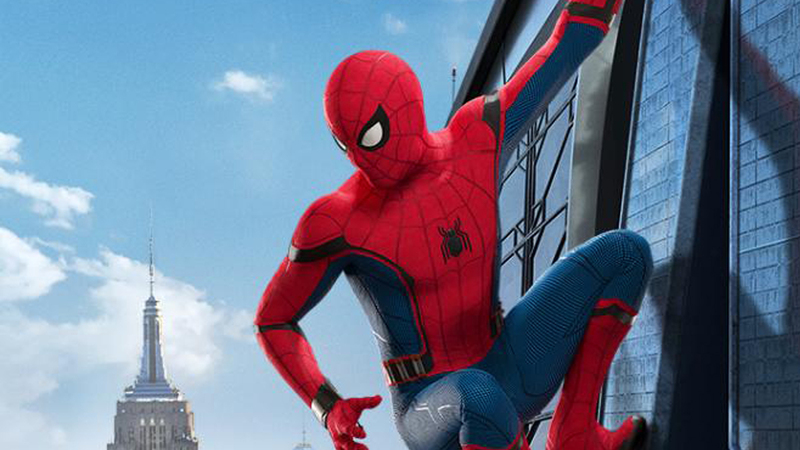 A Twitter mini-clip promoting the imminent debut of a new trailer for Homecoming shows that Stark added a little something to Spidey’s chest emblem, possibly a tracker drone similar to the spider-tracers ol’ Web-Head uses in the comics. A joint production of Columbia Pictures and Marvel Studios, Spider-Man: Homecoming was directed by Jon Watts from a screenplay by Jonathan Goldstein & John Francis Daley and Watts & Christopher Ford and Erik Sommers and Chris McKenna. The movie opens July 7, 2017.